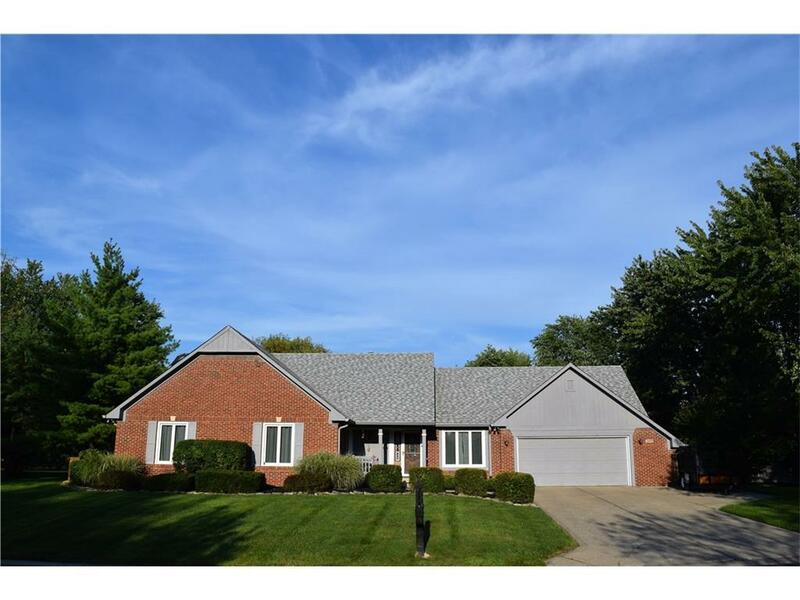 Rare opportunity to own this 3 BR Brick Ranch with full basement in Center Grove Schools. This clean home features newer hardwood floors and tile on main. Backyard is fully fenced with beautiful in-ground pool and pool house, shed and basketball court. Showroom grg has workshop bump out. Driveway has space to park extra vehicles. Maintenance free Triple Pane energy efficient windows and sliding glass patio doors. Brand New A/C Aug 2016. New Pool liner, filter and auto electric cover last year!